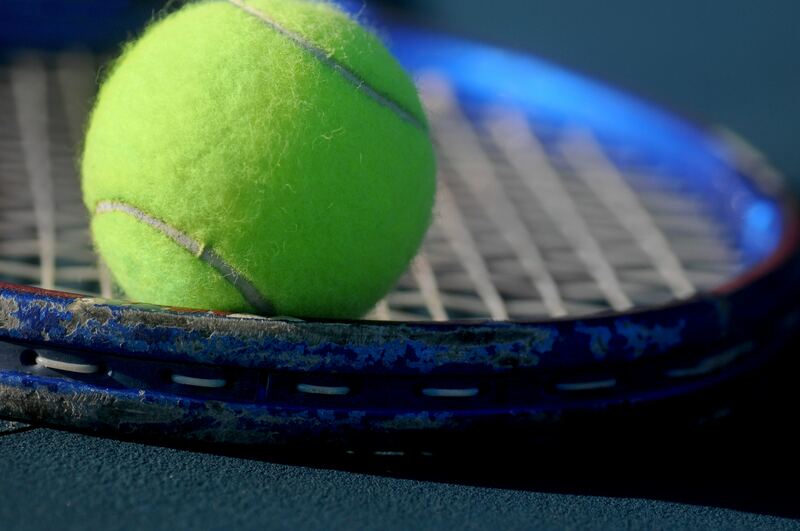 How can leadership lessons from a tennis coach change the way leaders interact in meetings? How can leaders step off the court so the team can play each other? I taught the basics: how to grip a racket, get into a ready stance and complete a forearm and back arm swing. I was an abysmal tennis player, but I was great at teaching tennis. I understood how to break it into simple steps for the kids. I also had patience – the most necessary virtue. Much of the hour sessions were spent trying to get Devon to stop swinging his racket like a sword towards Miranda’s head while I worked with the next student. I would stand on one side of the net and hit balls to the next person, giving them coaching to help them improve. This allowed me to could control the environment, the pace and the chaos. After several days of this, I decided to have the kids play a different game. I divided them up on either side of the court to hit to each other. Each person continued hitting until they missed a ball or hit it out of bounds, then the next person in line took over. The team that lasted the longest won. I quickly realized the mistake I had made in not having the kids play against each other sooner. When I hit to them, I didn’t challenge them enough. They grew used to me and my swing. They didn’t get the opportunity to rally against each other and respond to unexpected shots. In playing each other, they challenged each other more than I could alone. There was enough variety and difference in skill and style that it forced them to improve. They struggled against one another, getting stronger each day. Most importantly, I could notice more and offer better coaching. When I hit to them, I was focusing on getting a ball to them and often missed things to reinforce or correct. When they hit against each other, I was able to see more and coach more. I thought of this a few years ago when working with a leadership team. I was sitting in one of their regular meetings to present on a topic. Before I was up, I watched the leader ask each person to present agenda items. I expected the team to talk and challenge each other, just like the kids did playing tennis. Instead, the leader was the one who commented after each person. He would occasionally direct a question to someone else, controlling the whole discussion. He was the only one standing on the other side of the net hitting the balls as I did when teaching tennis. The team was missing the opportunity to rally with each other and become better. They weren’t challenging each other – or even asking questions. If anything, they were becoming worse, not even trying to respond, knowing the leader would. If you asked the leader, he thought he was doing a great job engaging them by calling on different people. He was keeping things under control and moving through the agenda. He missed this was a strong team that needed to debate and exchange ideas. To help each other solve their greatest challenges and exercise themselves as a team. The leader drove the agenda and didn’t allow space for conversation. He always spoke first, stating his opinion and what should happen next. In doing so, he shut down any opportunity for the team to truly work on what was needed. He missed the glazed look on everyone’s faces. He couldn’t see the frustration they felt that their perspective wasn’t valued. He didn’t understand that leaving the space for debate would help them solve more problems than barreling through an over-packed agenda. That inviting the constructive challenge and conflict would strengthen them as a team and produce stronger results and diverse thinking. When I coach groups or lead teams, I try to tee up the discussion and then step back. I try to let the team rally with each other, challenge each other and offer feedback, even if the topic doesn’t have to do with their role. This lets me step back and observe things I can’t see when I guide the discussion. Teams come up with better outcomes than if any one person dictated them. They offer different perspectives and challenge each other to better thinking and stronger results. They are more engaged and feel valued. They will often coach each other, allowing me to push them even further than if I was the only one coaching. Leaders fear conflict because they fear a loss of control. They fear that conflict will lead to fighting and create drama on a team. However, constructive conflict is critical to a team’s success. Sometimes this means asking questions and waiting through an awkward pause for people to speak up. Sometimes it means prompting debate by asking questions like “What would it look like if we disagreed with this?” Sometimes it means bringing up a mistake and asking for a discussion on what to do differently. It means calling on various team members and the leader listening and speaking last. The role of the leader isn’t to have all the answers. It is to create the right environment to have the team create the right answers together. If you are the leader standing on one side of the net hitting all the balls to your team members, put down your racket and go stand on the sidelines. You are wasting your team’s potential. Have them rally against each other. They will impress you with their talents. Karen is the owner and founder of Eber Leadership Group, a Talent Development company with 20+ years of experience driving talent agendas across industries globally. Karen uses storytelling to point out examples in everyday life that inspire all people to reach their leadership potential and be #betterthanyesterday.